One of Australia’s smallest and most colourful parrots in wildlife in focus, a tree for your produce garden in Vegetable Heroes. 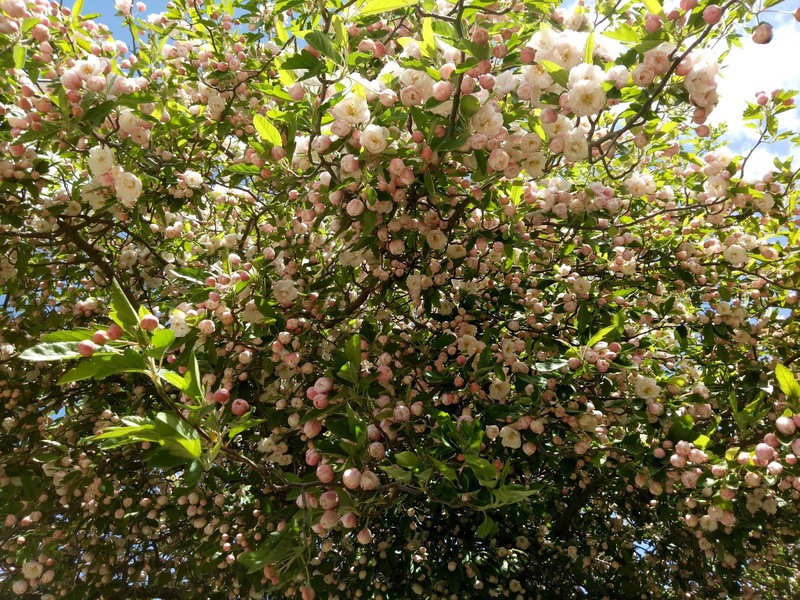 A new series on gardening with the senses in Design Elements and abundant flowers on a small tree in Plant of the Week. If you’ve ever travelled overseas and visited Botanic gardens, often you’ll find that they have a section of what they call exotic plants and or wildlife. Recently I saw such a place in Ukraine and was rather bemused see that they had quite a few Australian birds and reptiles. Some of these birds are so colourful that no wonder the local population think that they’re amazing and so exotic. Let’s find out about one of them. Budgies are closely related to Lorikeets and Figbirds and occur naturally throughout much of mainland Australia. The places that you won't find them are from the far south-west, the north of the Northern Territory, Tasmania and the majority of the east coast. Did you know that Budgies come in more than 100 colours, including blue, grey, white, yellow and multicolour. The majority, however, are green, which appears to be their ‘it’ colour, in the wild? 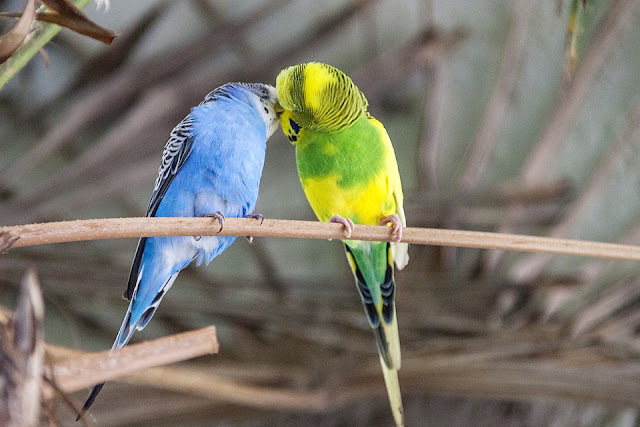 Did you also know that Budgerigars are a boom or bust type of bird and with this current dry season, one can imagine that there would be quite a number of fatalities? 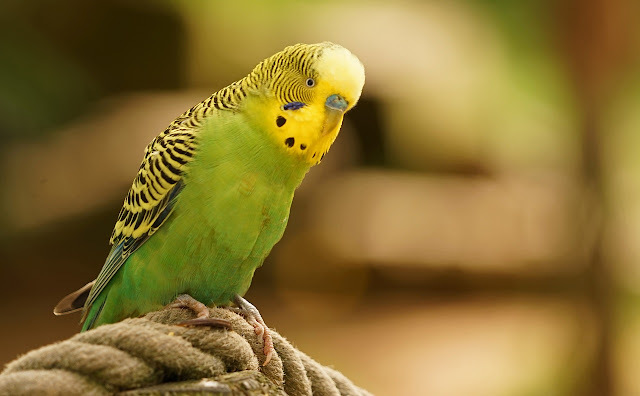 However, recent research from Curtin University have discovered the fact that, much like mammals, budgies (Melopsittacus undulatus) have the ability to regulate the water they lose through their skin. Their suggestion is that they can cope well in hot dry conditions. 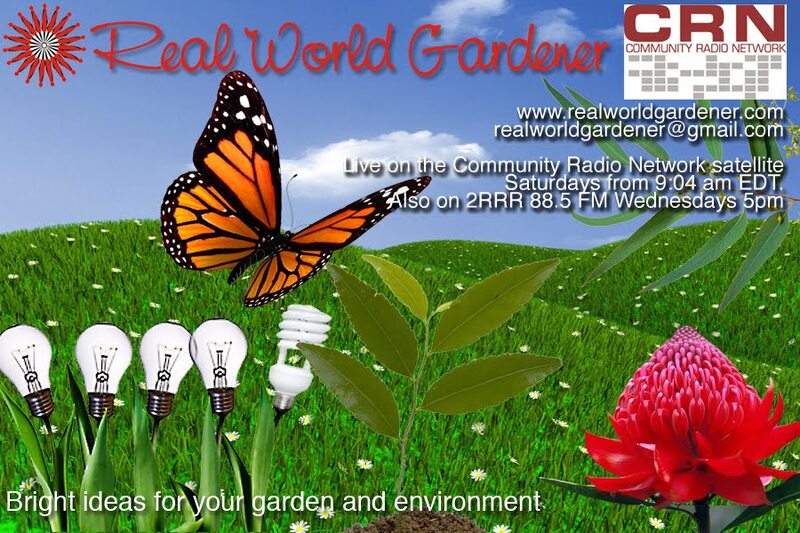 If you have any questions about Budgies of the bird kind either for me or for Holly, why not email realworldgardener@gmail.com or write in to 2RRR P.O. Box 644 Gladesville NSW 1675. 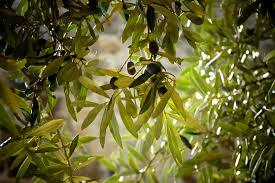 The olive tree is a symbol of joy, peace and happiness. Did you know that the Mediterranean diet which includes plenty of olives and olive oil has long been known as one of the healthiest? Another interesting fact is that residents of Crete in the Mediterranean have the highest consumption of olive oil per person in the world but Australia is second; the Cretians though have the lowest rate of death from heart related diseases in the world which we can’t say about our diet yet. 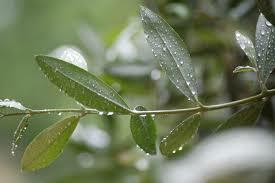 Olive trees can look good in any garden with their silver grey-green leaves. Some people have mistakenly bought ornamental olive trees thinking that they will also fruit, but that’s not the case. These ornamental olives have darker green leaves and only produce pea sized fruit which isn’t much good. The good news is that true olives can grow right from Queensland through to Tasmania and across to South Australia. Not only that, olives can grow with neglect and start producing fruit again with a bit of care plus they make excellent wind breaks and great for gardeners with black thumbs. What Do Olive Trees Really Like? We have to remember that the olive originated in the Mediterranean region and will grow well in areas of Australia with a similar climate—cool/cold winters and hot summers. Even though olives are evergreen trees, they still need a cool winter so they can rest to prepare for their main shooting. Many mature olive trees will survive and crop well even in the very cold areas of Australia. 1.5°C and 18°C and summers long and warm enough to ripen the fruit. Having said that, the olive industry in Australia has been doing research into what olives do well in warm winters and wet summers. Some of these are warm winter varieties include: Arbequina, Arecuzzo, Barnea, Del Morocco, Koroneiki, Manzanillo and Picual. Tip: If you already have an olive tree and experienced very few olives; hot, dry winds or rain at pollination time in late spring can reduce fruit set..
Olives will grow in most soil types as long as they are well-drained and have a subsoil pH range of 6.5–8.5. TIP: The olive three’s worst enemy is too much water. If your soil holds too much water when there’s been a lot of rain, then you need to improve the drainage or raise the bed that your olive tree is growing in. When it comes to fertilising, olive trees have similar needs to Australian eucalypts except for the fact that they’re not phosphorous sensitive. Traditionally all you need to use to fertilise your olive trees are well rotted manures and mulches; anything else and you risk over fertilising your trees. Lots of rain at harvest-time, can reduce oil content due to the higher water content in the fruit. The most common pest is black scale, which also affects citrus. Olive lace bug (not to be confused with beneficial lace wings) can also be a problem. All of these pests can be controlled, but they should be positively identified . If you’re not sure what’s attacking your tree, take a piece of the affected branch to your local garden centre. Don’t go off spraying with one of those broadspectrum or home-made insecticides that kill beneficial insects as well.. The main fungal problem is peacock spot, which results in leaf fall and poor fruit set:It’s more common in humid areas. You need to prune to allow enough air flow through the leaves to help keep it under control. Anthracnose, or fruit rot, can also affect olives. Copper sprays can be used for (any both of these) fungal diseases. Olives are also harmed by some soil-borne pathogens such as phytophthora, verticillium and nematodes common to other fruit trees. If that still doesn’t put you off growing them, here’s part of what you have to do to preserve olives. In about February - March, some of the fruit begins to turn from plain green to purplish black. If you have ever tried to eat an olive straight from the tree, you will know what I mean - it's VERY bitter and VERY hard. If you use the method I’m going to talk about, you’ll end up with wonderful sweet olives and you can add all sorts of herb combinations to create your own special marinated olives. •Make a slit in each olive or crack each one open carefully with a wooden mallet. THAT’S RIGHT, EACH AND EVERY SINGLE ONE! 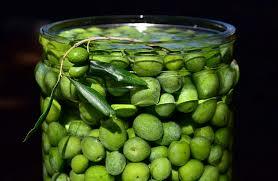 •Put the olives in a large bowl or bucket and cover with water with ½ cup of coarse salt for every 10 cups of water. Place a plate over the top to keep the olives submerged. 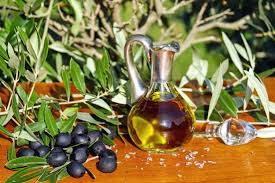 •Change the water daily for about 10 -12 days to extract the bitterness and make the olives "sweet". Test an olive to see if all the bitterness is gone. Ugghhh, yes you have to. •After 14 days, drain the olives and place in a solution of cooled down brine; 1 cup of salt for every 10 cups of water that has been boiled together first. Then all that’s left is bottling the olives in brine topped up with 1 cm of olive oil. There are other recipes involving wood ash. By the way, olives will keep for years in the freezer. Olives provide essential vitamins and amino acids. Olives contain oleic acid, which has beneficial properties to protect the heart. Flowers on this tree are so spectacular that you’ll be wondering why you’ve never planted it in your garden. Not only that, it’s easy to grow, is a small tree and is quite hardy. But maybe you have one in your garden, and you’ve had it for years. So instead you’re the envy of neighbours all around you but they’ve been either too afraid to ask you what it is or have been trying to sneak cuttings. There’s quite a few other varieties of crabapples to choose from with enticing names like Sugar Tyme Showtime, Royal Raindrops and Golden Raindrops. The bonus is even though it’s a small ornamental tree, you get these crab apples and if you’re into masterchef or other cooking shows, you’ll be wanting to make crab apple jelly to use on your cooking creations.